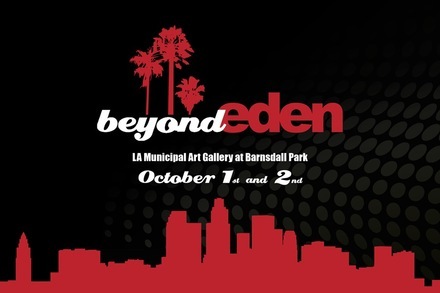 Following the highly successful stops in New York City and San Francisco, this highly publicized show is coming to the pop culture capital of the world, Los Angeles on October 1st and 2nd for a two day display at the Beyond Eden Art Fair. The fair is in its 6th year and features LA galleries including Thinkspace, La Luz de Jesus and CoproNason. An art show tribute that pits the films of cult favorites Quentin Tarantino and the Coen Brothers against each other, “Quentin vs. Coen” is a battle royale of painting, sculpture, prints and collage. Featuring over 100 different artists from around the world, the show serves as a look at some of the most iconic and memorable scenes, characters and films from the highly heralded director’s oeuvres. Hi Gwendolyn, enjoyed your interview with the Artsy Shark. Love your work. As a child I learned to identify cars by the tail lights when we went on drives. It’s funny, going for a drive was intertainment back then. Thanks for the ride down memory lane.